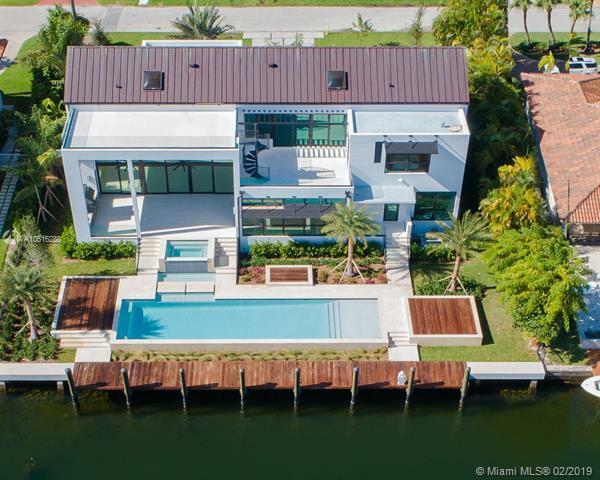 Modern Miami waterfront luxury scaled for gracious living. 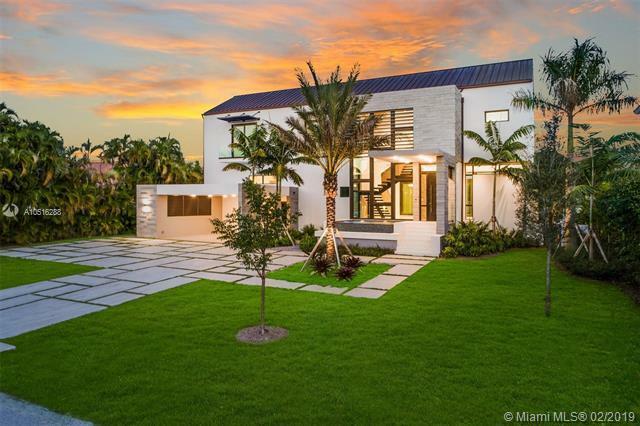 Thoughtfully conceived, elevated new-construction sited in an intimate, highly sought gated Gables enclave. Ingenious design maximizes every sq ft of lot space. Refreshingly understated interiors; elegant, airy floor plan masterfully flows & functions. Living & dining rooms offer water views. Gleaming Wolfe/Subzero kitchen w/wine cellar & pantry. Sublime master w/sumptuous bath, office, H&H walk-ins, sundeck & outdoor shower. All bedrooms en suite! Wow-factor exterior; kitchen/living/dining & fabulous pool/spa w/island seating & sundecks. New batter-pile fortified seawall; 70-ft dock; no bridges to bay. Rooftop deck affords city views. Built for the ages w/poured concrete, copper, limestone & oak. Its all that and more!